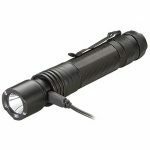 Offering an incredibly bright 850 lumens, the ProTac HL USB uses three battery types, and includes a built-in USB charge tab. Streamlight® Inc., a leading provider of high-performance lighting and weapon light/laser sighting devices, introduced a rechargeable version of the ProTac HL, the ProTac HL USB. 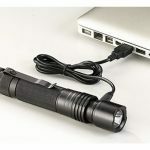 Offering an incredibly bright 850 lumens, the new model uses three battery types, and includes a built-in USB charge tab, permitting it to be charged from a laptop or most USB wall chargers. Featuring Streamlight’s Ten-Tap® programming, the ProTac HL USB enables users to select among three programs to suit their preference or operating needs: high/strobe/low (the factory default setting); high only; or low/medium/high. On high, the light delivers 850 lumens, 10,000 candela, a beam distance of 200 meters and a run time of 1.5 hours. 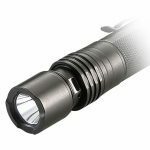 On the low setting, it provides 85 lumens, 1,000 candela, a beam distance of 63 meters and a 12-hour runtime. The strobe runs for 1.5 continuous hours. 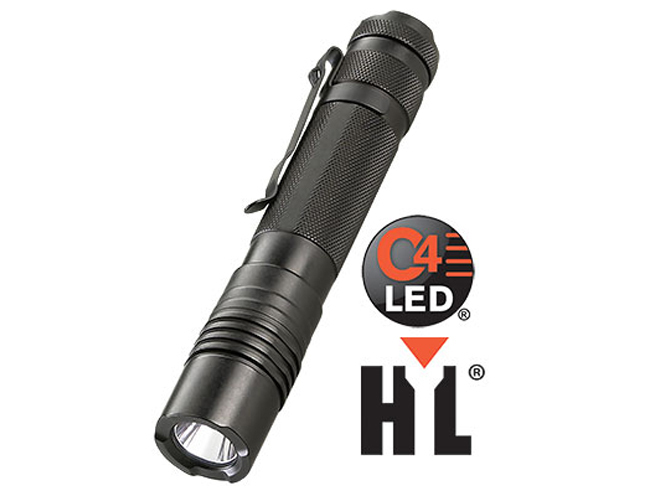 The ProTac HL USB uses a C4® LED that is impervious to shock. 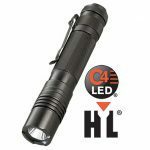 It runs on an included Streamlight lithium ion rechargeable battery pack; it also functions with a commercially available 18650 rechargeable lithium ion battery, or two CR123A lithium cell batteries. The ProTac HL USB also features an innovative adaptable battery compartment design that eliminates battery rattle. An optional USB/AC wall adapter is available. 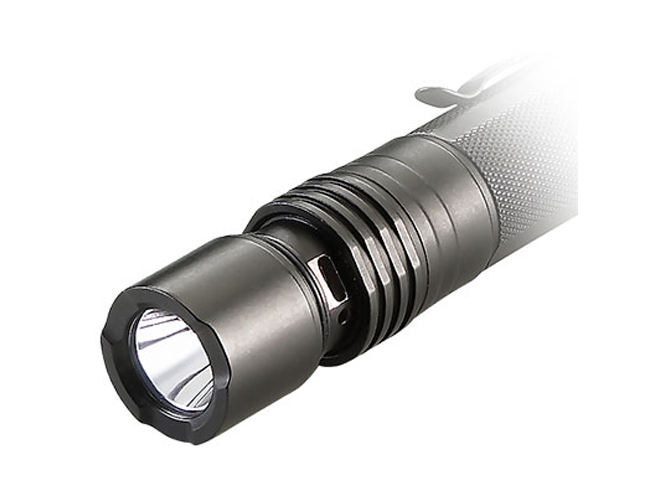 The light is fabricated from 6000 series machined aircraft aluminum with an anodized finish, and includes a convenient multi-function, push-button, tactical tail switch. This tail switch provides easy, one-handed operation of the light’s momentary, variable intensity, or strobe modes. The light’s Micro USB charge port is protected by a sliding water-resistant cover. The ProTac HL USB measures 6.50 inches in length and weighs 7.2 ounces. 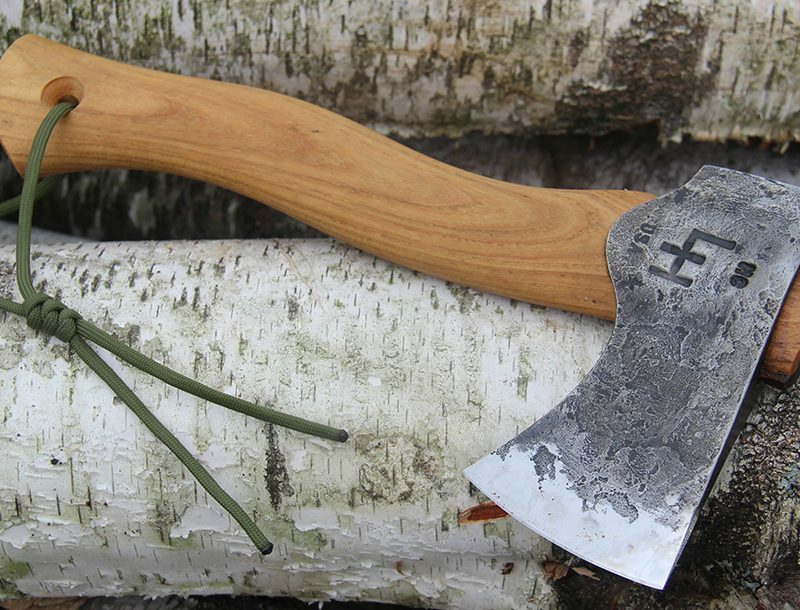 It features an anti-roll face cap, and a removable pocket clip for attachment to a vest, belt, or pocket. 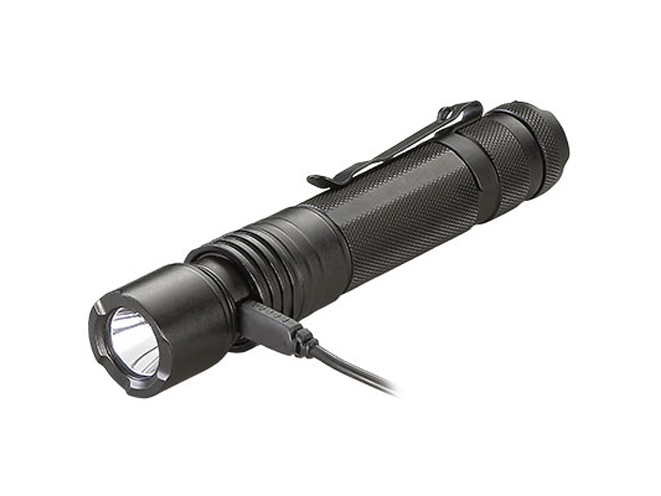 The light also has an IPX4 rated design for water-resistant operation and is impact-resistance tested to one meter. 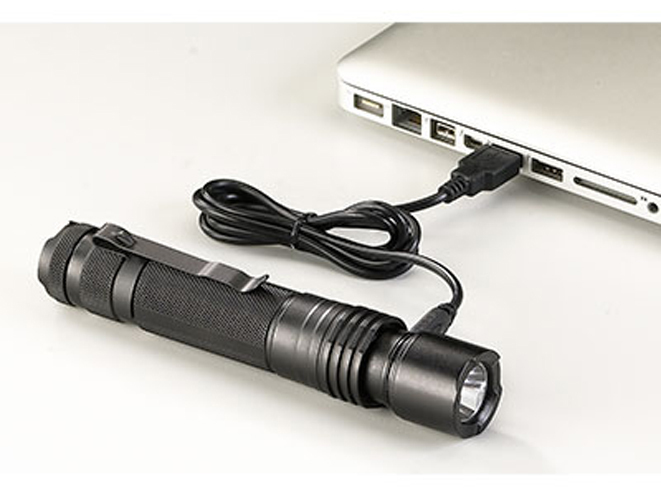 Available in black, the light comes packaged with a USB cord and ballistic nylon holster. Depending on the configuration, the MSRP of the ProTac HL USB ranges from $180.00 to $200.00. 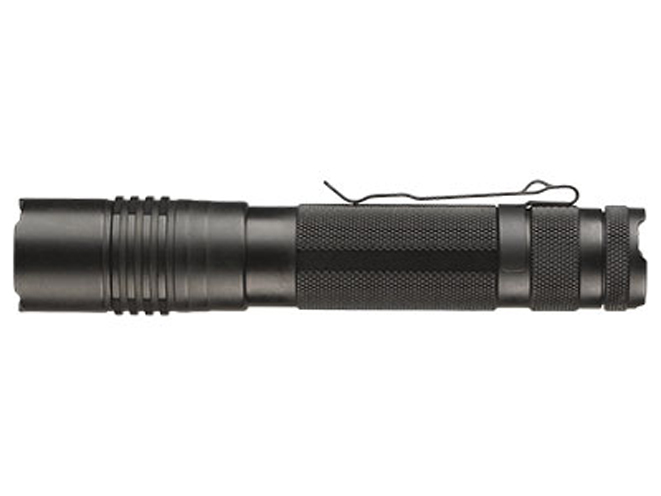 The light comes with Streamlight’s Limited Lifetime Warranty. 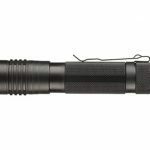 Based in Eagleville, PA, Streamlight, Inc. recently marked 40 years of making tough, durable, long-lasting flashlights designed to serve the specialized needs of professionals and consumers alike. Since 1973, the company has designed, manufactured and marketed high-performance flashlights, and today offers a broad array of lights, lanterns, weapon light/laser sighting devices, and scene lighting solutions for professional law enforcement, military, firefighting, industrial, automotive, and outdoor applications. Streamlight is an ISO 9001:2008 certified company. 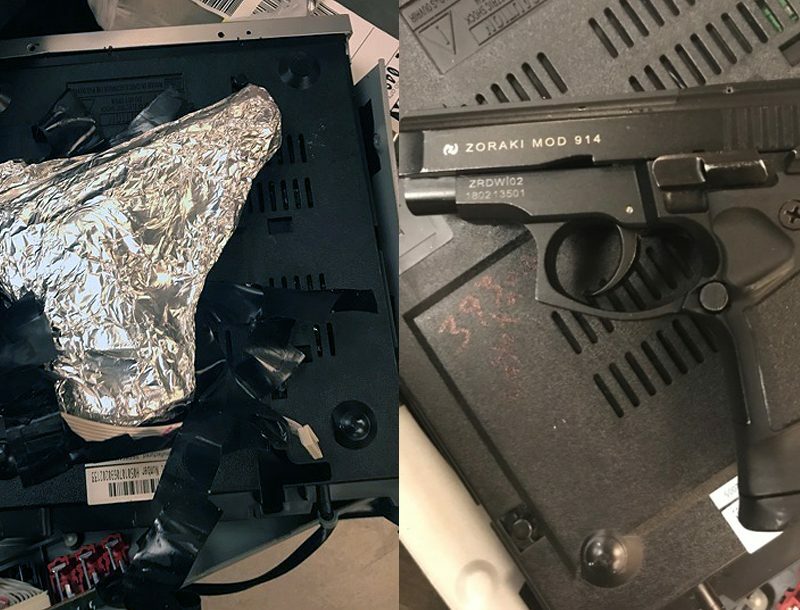 For additional information, please call 800-523-7488, visit http://www.streamlight.com or connect with us on http://www.facebook.com/streamlight; http://www.twitter.com/Streamlight; and https://www.youtube.com/streamlighttv.